Chris Hardwick has joined ART19 as an investor and advisor. Chris is a comedian, actor, TV host, author, writer, producer, and podcaster, whose quick wit and up-to-the-minute intellect have made him the voice for a generation of pop culture enthusiasts. Chris currently serves as founder, CEO, and creative head of Nerdist Industries, a media empire under the Legendary Digital Network that encompasses the Nerdist.com website, YouTube channel, and a podcast network of 49 shows that includes Hardwick’s own incredibly successful Nerdist Podcast, which he continues to host and garners over 6.9M downloads per month. Chris is perhaps best known as host and executive producer of Comedy Central’s Emmy Award-winning nightly comedy game show @midnight with Chris Hardwick. Additionally, he hosts AMC’s Talking Dead, the highly rated weekly live after show which airs as a platform to discuss The Walking Dead. Chris will next be seen as host and executive producer of NBC’s new game show series The Wall and as host of AMC’s Talking Saul, the new post-show wrap-up discussion following new episodes of Better Call Saul. 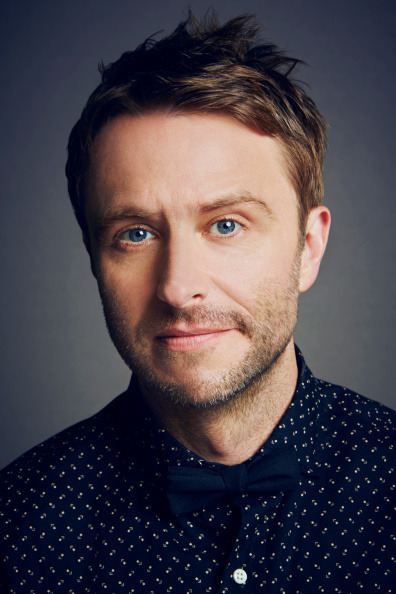 He will also release his newest one-hour comedy special, Chris Hardwick: Funcomfortable, on April 30th on Comedy Central.